Our Control Panel is fully customizable. It provides intuitive control over every aspect of your cloud. The Dashboard shows an overview of the entire cloud (for administrators) or a personalized view of usage (for individual users). You can create, start, stop or delete virtual machines directly from the control panel. The actions available to users depend on the permissions assigned to them. 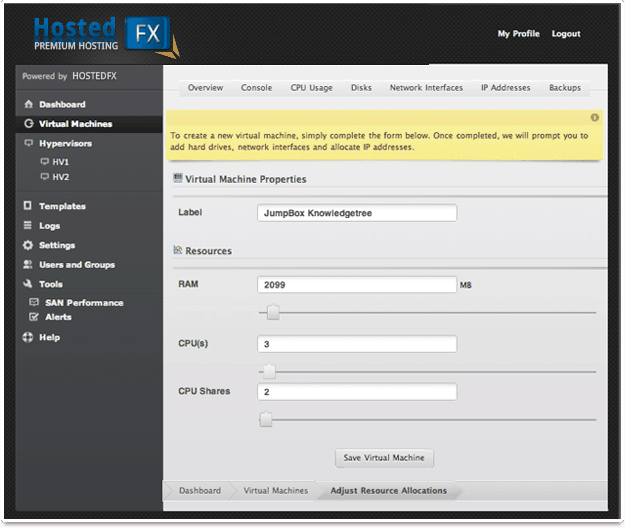 Choose a virtual machine from HostedFX's template library. Give it a name, hostname, password and hypervisor. Set the machine's resources and your're ready to deploy. It's easy to scale up resources for virtual machines, or to scale back when needed. You can easily add and configure new hypervisors, data stores and networks as you need to. Attach more disks for storage to your Virtual Machine when there is a load: detach them when they're no longer needed. You can allow users to manage all servers, virtual machines, disks and templates, or restrict them in almost any way you need to. 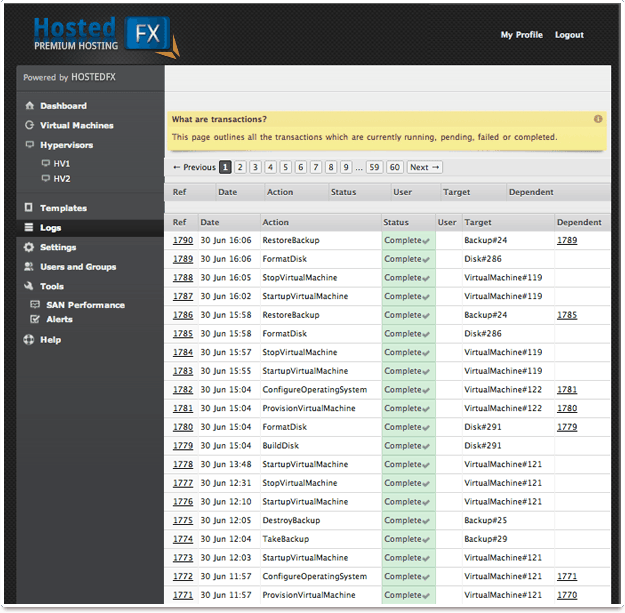 Use HostedFX's predefined user roles to assign permissions, or create as many of your own roles as you need. 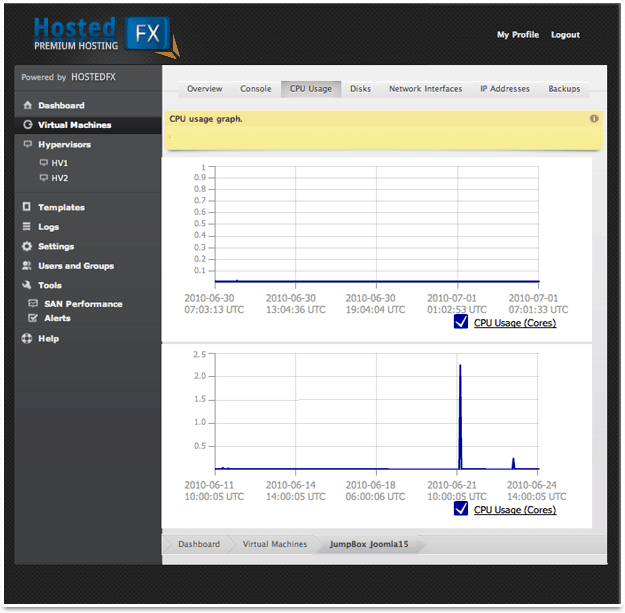 Analyze usage with interactive CPU and bandwidth graphs for each virtual machine. Click and drag to zoom into a specific time period. 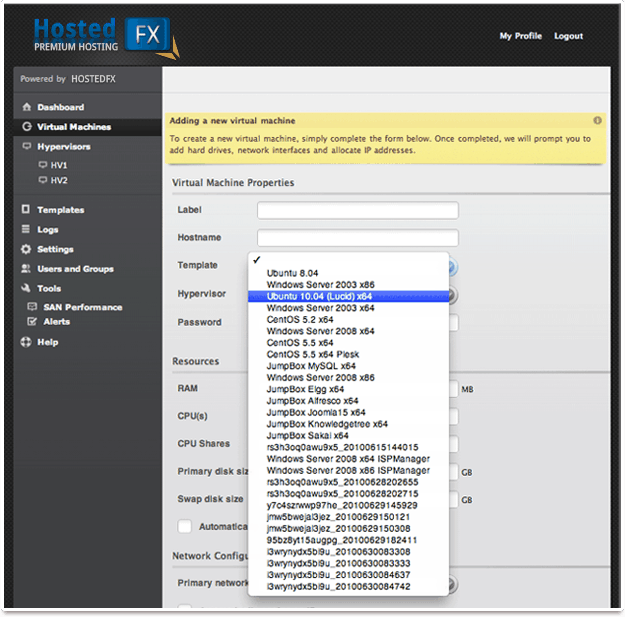 HostedFX tracks every virtual machine transaction. 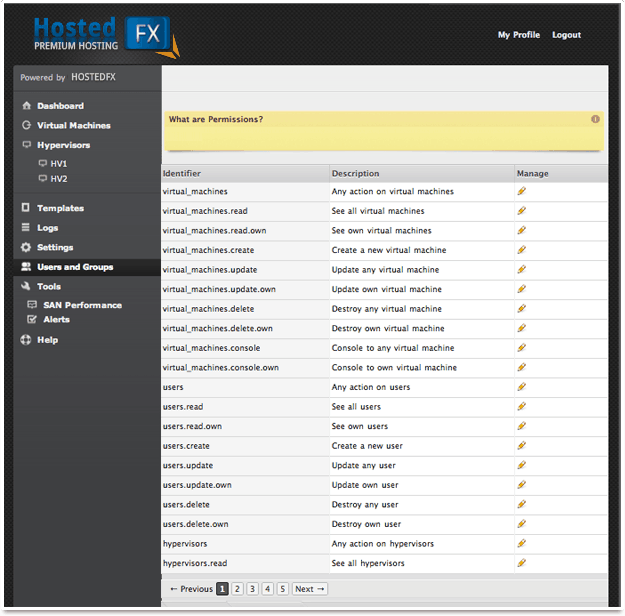 Drill down to see specific details of all virtual machine and cloud activities.